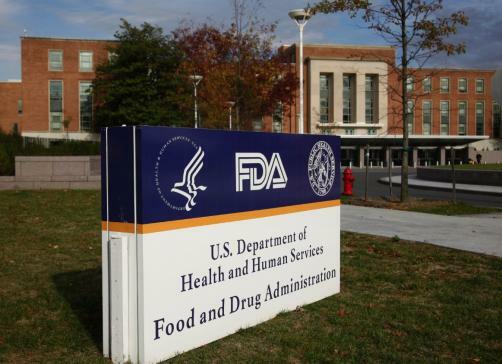 The FDA has decided to approve Amgen and UCB Pharma’s Evenity (romosozumab-aqqg) for the treatment of postmenopausal osteoporosis patients at high risk of fracture, it has been revealed. According to the manufacturers, Evenity is the “first and only bone builder with a unique dual effect that both increases bone formation and to a lesser extent reduces bone resorption (or bone loss) to rapidly reduce the risk of fracture”. Data from two Phase 3 studies showed that use of Evenity led to “significant reduction of new vertebral (spine) fracture at 12 months compared to placebo”, a benefit which persisted through a second year in women who switched to denosumab following one year on Evenity, compared to those who switched to denosumab from placebo. As an added benefit, Evenity also “significantly increased” bone mineral density at the lumbar spine, total hip and femoral neck compared to placebo after one year of use, and continued to increase through the second year in patients who switched to denosumab. The approval was awarded with the caveat that a five-year observational feasibility study must be carried out to assess the cardiovascular safety of the drug in postmenopausal osteoporosis patients. "One in two women will experience a fracture due to osteoporosis in her lifetime. These fractures can be devastating, with many leading to hospital stays and life-altering consequences,” commented Dr David M Reese, Executive Vice President of Research and Development at Amgen. “The FDA approval of Evenity represents an important therapeutic development for patients who need a medicine that can rapidly increase bone mineral density and help reduce the risk of future fractures within 12 months. Postmenopausal osteoporosis is a significant women's health issue that far too often gets overlooked. As a leader in bone health with more than 20 years of osteoporosis research experience, Amgen is as committed as ever to combatting this disease to help women at high risk for fracture reduce their risk of a first and subsequent fracture." Osteoporosis affects around 10 million in the US alone, and the condition is responsible for an estimated two million fractures per year. Costs arising from the condition in the US are thought to reach $25.3 annually by 2025. "Osteoporosis is a serious disease that is underdiagnosed and often goes untreated. In fact, approximately 80 percent of patients who have had one or more osteoporotic-related fractures are not being identified or treated," said Elizabeth Thompson, Chief Executive Officer at the National Osteoporosis Foundation. "This approval is great news for patients and physicians because it gives them another much needed treatment option to help reduce the risk of life changing fractures." Dr Pascale Richetta, Head of Bone and Executive Vice President at UCB, added: "Women who experience a fracture due to osteoporosis are at significant risk for another fracture within one to two years; however, many of these patients are not diagnosed with osteoporosis as the underlying cause of fracture so they do not receive the proper care, and as a result, may experience new fractures. We are excited Evenity is now approved in the US and that physicians will have a new treatment option for postmenopausal women with osteoporosis who are at high risk for fracture."